From 2005 our agency used to run two UK music tours, one in Spring and one in Autumn each year that featured musicians from around the world representing a vast array of musical genres. 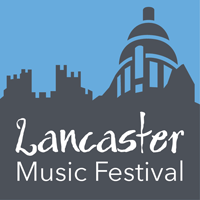 In 2009 we started a citywide music festival here in Lancaster, imaginatively called the Lancaster Music Festival (LMF). Owing to the success of LMF this is currently the only event we support. In 2017 this award winning festival, now in its 10th year, drew around 80,000 festivalgoers from all over Europe for over five days of events comprising some 500 performances from over 300 acts (about 10% of whom were international and sourced through our agency) in over 40 venues. Over 955 of the events were free. The next festival is scheduled for Oct. 10th to 14th 2019 and details can be found at www.lancastermusicfestival.com. Artist applications for the event will be open from Nov. 1st 2018 when information can be found on this page and also on the festival website.